I would like to get the site landing page roughed out and in place this weekend. Currently http://ninecrows.com just drops you on a plain HTML page with text on a background and some links. I know mod-rewrite rules can re-point that reference to a sub-folder. I have installed a target to catch those requests and expect to configure this to serve static wordpress pages. If all goes well, I’ll have something in place there by Tuesday. I’ve fleshed out and enhanced the book shelf area. Still not particularly structured but it now has thumbnails for all of the books and I’ve added comments on more of them. I still need to add comments to much of the newer material and perhaps rearrange the lists to be more usable. It have been an interesting dive into my books list as I ran across a few items that I had bought out of curiosity and never found the time to give real attention to. I’ll have to remedy that soon. I want to tackle the ‘things I’ve worked with’ list on this blog next. It is currently just an expanded version of the key word list from my resume. It needs expanding (and I guess my resume list needs expanding as well then) and it needs organizing. I think I may go to a category based setup with ‘languages’, ‘operating systems’, process and such. Sandbox projects keep getting postponed due to work and life time crunches. Not looking much better in the near term future, but I’m going to hold out hope. 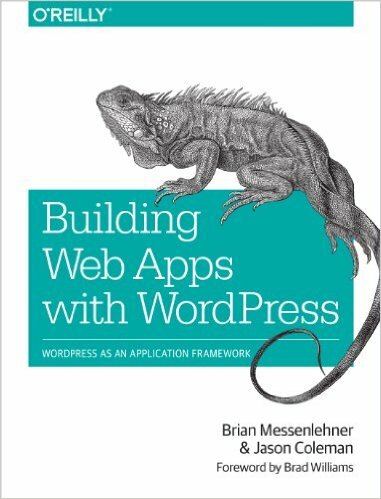 Ju st grabbed a copy of ‘Building web apps with WordPress’ for my kindle app. I’m really looking seriously at building shared information applications with my site in the middle. I need to substantially improve my command of the UI side of web apps and this looks like it may hit that and some of the back end issues that would help me get leverage from WordPress rather than writing code from scratch. I’ve bought quite a few books (paper and kindle) since last time I updated my books list. I’ll be working to back-fill that area to cover the new stuff as time permits. I’ve added a number of entries to the EBooks and Others section and expect to keep at this area until I’m caught up. I may or may not handle the paper based books as a bookshelf depending on time and quantity of items. I spent last weekend getting backup set up for the site after a scare that had me thinking I’d lost the blog side of the site. Backups now are looking good and appear to be running well. I still need to load XAMPP on my linux box and verify that I can restore the sites, but I’m pretty comfortable that will work. I’ve been putting off fixing the ninecrows.com landing page because things have been busy. At this point I’m trying to put content up here and keep the site interesting and thus I’m looking at fixing the landing page and pulling the whole site together.